Sam Nallen Copley studied at SOAS, Waseda University in Tokyo, and Oxford. He currently lives in Paris. He writes for Global Politics, Cha: An Asian Literary Journal, New Business Ethiopia, the 1847 Press, the Somaliland Sun and Malawi Voice. 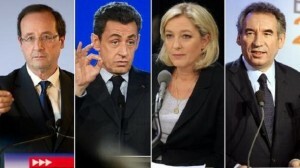 Ceasefire's Sam Nallen Copley reports from Paris on the French presidential election race and the impact this week's unfolding tragedy in Toulouse might have on the result.